WHEN LONG TERM CARE INSURANCE SAYS NO!! Over the 17 years that we’ve been providing services to the community we have witnessed what a changing landscape Long Term Care Insurance has evolved. Let me apologize upfront at the length of this article but this is a complicated matter. Without getting into a detailed history of how this segment of the industry has evolved, suffice it to say, the marketplace is not what the insurance companies had anticipated when they launched these products. There have been modifications to the insurance policies sold that tried to keep up with the needs to finance the cost of Home Care for an increasing number of aging adults. While the newer policies have addressed changes in the landscape of Home Care the older policies contained ambiguous language that permitted the insurance company to limit the conditions under which the policy could be used. State Licensed Home Health Care Agencies are providers of medical care in the form of wound care, physical therapy, speech and occupational therapy. A Home Health Care Agency is a provider of certified nursing assistants (CNA) or home health aides (HHA) who are qualified to assist with activities of daily living (ADL’s). A home health aide provides assistance monitoring a loved one with medical problems, but the focus of care is actual assisting with everyday tasks, such as bathing, eating, housekeeping and so on. The problem in a state like Connecticut is that Home Care is registered with the State not licensed by the State. The terminology State Licensed Home Health Care Agency narrowly defines the policyholder’s choice to only use a skilled nursing agency. Skilled nursing agencies which are licensed entities, have typically been for acute care (temporary) as with someone who, by receiving Home Health Care will enjoy an improvement in their condition to the point where they can be discharged from Medicare services, having plateaued in their progress. This defines a temporary need for that level of care. Home Care is not typically a temporary need but a chronic one that may intensify as a person’s condition worsens with age. There are not many skilled nursing agencies that provide a full menu of non-medically related services (Home Care). Therefore, the number of agencies that fit the definition of the insurance policy is very limited. You can imagine the surprise by the policyholder and their families when they realize that for all of the money spent to carry this supposed solution to financing care for their elder years, that it has very restrictive covenants that require a uniquely defined service provider with credentials that are not mandated for the vast majority of those agencies whose services are the very thing that the policyholder needs. An analogy might be that if you bought a car in the 1950s and purchased a lifetime service agreement that specified that you must have it serviced only by a garage that is a “licensed carburetor repair shop”. In 2018 you would be hard-pressed to find someone working in any car repair organization that knows what a carburetor is. So much for your years of paying premiums for long-term care on your 1953 Pontiac. Most repair shops could probably get it fixed but they don’t qualify with the definition in your lifetime service agreement. The bottom line is that Healthcare and care for the aged have evolved. What once may have been a recognized standard has been surpassed and, in some cases, eliminated with new and more effective solutions. In the wake is a policy that can’t be used but cost a whole lot of money. So, what is a policyholder to do? Start by trying to get an understanding of what the insurance company considers compliance with the language of their policy. In some cases, a mere certificate held by a Home Health Aide (HHA) or Certified Nursing Assistant (CNA) may suffice. If you are working with a Home Care Agency that you prefer to be your provider, grant them permission to discuss matters with the insurance company and see if they can work it out. The interpretation of any policy is subjective based on the language. The insurance company may interpret the policy based on their understanding and that interpretation may not be in sink with what the policy language states. When challenged insurance companies often make provisions to comply with need. All insurance policies are one sided; terms are dictated by the insurer. When problems of non-payments/coverage are elevated to the legal level, the courts almost always side with the insured. Knowing this when disputing coverage details such as licensing agency terms will help influence the insurance to pay for needed care from the provider of your choosing. Insurance policies are regulated on the State level. If negotiations fail, a complaint to the State Insurance Department can be filed. It’s like your 1953 Pontiac service agreement. You have paid for something that cannot be used. The courts are starting to see it and it will become more and more an issue. Pointing out to the insurance company that they have sold you a policy that cannot be used under the law. Licensed Home Health Care agencies that provide custodial Home Care do not exist or are so limited in number as to severely restrict a policyholder’s choice. You are not seeking to use the policy for something other than what it was intended. You are seeking to be able to use it with a broader variety of providers that are better able to meet your needs and at competitive prices. Your policy allows you so much in benefits and your looking to use it as efficiently as possible. Lastly and before you throw in the towel and stop paying premiums and letting the policy lapse, seek out a reputable insurance consulting firm that works on handling dispute resolution. A situation like what you’re currently dealing with may not work, but the policy may still be totally viable under the right circumstances. To let the policy lapse would make the premiums paid to date become a sunk cost. To replace the policy that you now have at your current age and health condition may be unaffordable. Good consultants can evaluate what you have and what you’re trying to achieve. They can see if, through knowledgeable intervention they can reach an understanding or concessions from the insurance company. I would like to thank Katalin Goencz for her contributions to this article. Katalin heads up Med Bills Assist which is based in Stamford, CT and are Medical Insurance & Reimbursement Specialists. Katalin can be reached at katalin@medbillsassist.com or 203-569-7610. The below article was published by The New York Times. It was written by Paul Downs, who kindly gave me permission to re-post his article in my blog. There is a lot to learn and understand about insurance selection and medical claim payments. This is the second in a series of posts about Paul Downs’s efforts to buy health insurance for his small business. The Affordable Care Act’s metallic levels — platinum, gold, silver, bronze — offer buyers four different ways to pay for health coverage. One can choose to commit to paying higher premiums (platinum and gold) or to minimizing premiums (silver and bronze) and taking a chance on having to pay higher out-of-pocket costs when medical care is needed. As an experiment last year, I decided to enroll my family in a cheap plan: Independence Blue Cross’s PPO Bronze with HSA. This is a plan with a high deductible ($3,000 individual and $6,000 family in network – and triple that for out-of-network care), significant co-insurance after the deductible is met (50 percent for most procedures) and a high out-of-pocket maximum ($6,350 individual and $12,750 family in network, triple that out of network). In other words, a skimpy policy. But the premiums to cover my family (I’m 52, my wife is 51, I have 19-year-old twins and a 17-year-old) were the lowest I could find for a policy with a health savings account: $1,073.28 a month, or $12,879.36 for the year. Premiums for a platinum plan of the same type and with the same network were much higher: $1,641.09 a month or $19,693.08 a year. The gold level plan, with some co-pays but no deductible, cost $1,513.22 a month or $18,158.64 a year. If these premiums seem high (or low) to you, keep in mind that they are determined by adding up the premium for each family member. They would have been much lower if we were all younger (and higher if we were older). The difference in premium cost between the bronze and gold plans was $5,279.28, which was less than the deductible for the bronze plan. But if my family didn’t go to the doctor very much, we could end up thousands of dollars ahead. And if we did? Before I made my final decision to go with the bronze plan, I labored mightily to get some idea of what routine visits to the doctor might cost — without much success. In the end, I decided to roll the dice and see what happened. And now we’re 11 months into the year, and I can report what my “cheap” plan has cost me. I decided early in the year to pay attention to my out-of-pocket costs, and started keeping all of the Explanation of Benefit forms that Independence Blue Cross mailed to me. I also kept all of the many bills I received from health care providers. Recently, I organized all of this information into a spreadsheet. It took me about six hours, over two evenings, to enter all of the transactions, covering the first 10 months of the year. It was not possible to simply download this information from my insurer’s website — I had to examine each E.O.B. carefully and then enter the details manually. When I finished, I had a financial portrait of a moderately eventful year in my family’s health history. My wife and I are both what you would call healthy — no chronic conditions, neither of us smoke, we get regular exercise, we each have one drink a day, and neither of us is obese. My sons are active, healthy teenagers. Two of them are runners, and the other (who has severe autism) lives on a farm and works outdoors much of the day. My wife cooks for us most evenings, and we eat a balanced diet. So there’s no obvious reason we should be going to the doctor any more than an average person. And yet, so far this year we have ended up in a doctor’s office 25 times. Most of those visits were centered around three events: My wife had a colonoscopy in January, my youngest son hurt his knee playing Ultimate Frisbee in April, and I decided to see why I was suddenly having heartburn and had an upper gastrointestinal endoscopy in October. The colonoscopy and endoscopy were simple, three-hour procedures performed in a non-hospital setting, but they did involve anesthesia. The knee problem was much more involved. It started with a visit to our regular doctor, then an orthopedist, then an MRI, then back to the orthopedist, then a morning in surgery (with anesthesia) that didn’t fix the problem. So my son went back to the specialist in the fall, with another trip to the MRI. Twelve visits in all. Other than those things, my wife went to the gynecologist and I got a flu shot. We also used various prescription drugs. Laying all of this out on a spreadsheet, some things jumped out at me. First of all, the list price, or the sum of what the health care providers billed to Independence Blue Cross, is a very large number: $63,878.42. Presumably, if I had had no insurance, this would have been my responsibility. Maybe I could have negotiated it down a bit, maybe not. Twenty-three of our 25 doctor visits were with providers who are part of the Penn Medicine network, but I still received bills from 14 different entities, and without insurance, I presumably would have had to dicker with each one. I have no idea how that would have gone, and I never want to find out. The fees negotiated by Independence Blue Cross for all of the services I received amounted to a substantial discount. They managed to knock $38,685.38 off the list price, for a resulting cost of $25,193.04. The insurance company split that cost with me per the provisions in my bronze plan. My portion, not including the premiums I paid, currently totals $9,648.65, or 38.3 percent of the $25,193.04 that Independence Blue Cross has paid out. Were the out-of-pocket costs a problem for me? No. I’m a prudent person with above average income, and I keep cash on hand to cover unexpected expenses, even of this magnitude. I do wonder, though, how easy it will be for people like my employees to manage out-of-pocket expenses. How many people in the median American household, with an income of $53,891, have an extra $10,000 lying around? What if I had chosen another policy: gold or platinum coverage? If you add my premium costs to my out-of-pocket expenses, my total expenditures under a bronze plan so far this year have been $23,160.49. Would the sum of my premiums and out-of-pocket costs been higher or lower with a gold or platinum plan? Unfortunately, I can’t answer that question. I have the plan descriptions from last year, but I have no way of knowing whether the negotiated price for the procedures is the same for all metallic levels. What does all of this mean? As boss, I’m supposed to make decisions about what policies to offer to my employees. Some have families and some don’t. Some are younger, some are older. Some make more money, some make less. Conventional wisdom is that bronze level policies are good for people who don’t go to the doctor. My experience suggests that this is true — if we had required no care, my choice of a bronze policy would have saved me a lot of money. But even though we’re all healthy, that’s not how things turned out. Which leaves me asking: Should I recommend bronze policies to my younger, healthier workers? Only if I can be sure they won’t injure themselves doing the things that young people do. The largest portion of my out-of-pocket expenses came from my son’s knee injury. That incident, and all of its associated care, had a list price of $36,060.96, a discounted price of $9,931.85, and a cost to me of $6,874.24. I was able to pick up that cost. Would my younger employees have that money on hand? My take away: Even though the premium costs are much higher, there’s something to be said for the gold and platinum plans. I’ll probably switch to one for next year — and recommend that my younger employees who buy bronze think about where they might find a pile of cash if they have bad luck. Paul Downs founded Paul Downs Cabinetmakers in 1986. It is based outside Philadelphia. Large part of my business is dealing mental health reimbursement problems. People with some problems that can be treated with therapy and medication is manageable. The real problem is with severe conditions where daily supervision and guidance needed. The two most common issues are mental health problems, and or substance abuse. The Affordable Care Act gave us a false hope that mental health and substance abuse treatment will be covered under the insurance policies. The false hope is arriving from the insurance administration of this care. While the benefit is available it comes with managed care. Most expensive services require insurance prior approval. Many of the inpatient residential treatment facilities are not in network and have no idea, nor interest, to obtain prior authorization. So, under the Affordable Care Act we have the coverage, but the law left it to the insurance companies to deny care. Two parties, the residential treatment facility and the insurance company, supposed to work together are very far away from each other. Most of these facilities are set up for cash payments and generally don’t participate, nor understand medical insurance. In the other side insurance companies routinely deny care in out of network residential treatment facilities. The major factor in treating mental illness is learning to make life changes. Most insurance company denials state that services could have been provided in an Intensive Outpatient Program. That is almost always a false statement. Major life changes involves the patient relocation and close 24/7 supervision. It cannot be done while living home and attending a daily sessions. The usual story is that a parent takes a young adult child to a facility in remote location. This is an effort from the parent to save that child from further harming him or herself, with a hope for recovery and healing. In most cases the effort pays off. A few months later this young adult find a new direction is life. They learn to cope with the illness, or give up illegal drugs. It can be a combined problem; mental illness brought on by drug use. The problem is the price tag of about 40-60 thousand. Most people expect the insurance company to pay for most of the bill. Instead it becomes a tag of war between the facility’s inability to bill to the insurance company correctly and the insurance company wanting proper billing submission. Once that mess settles the next state is the insurance denial. The majority of these denials states that the care could have been provided in an Intensive Outpatient Program. We all know that is not true, but it is a good start to avoid payment as far as the insurance company concerns. Fighting these denials after-the-services is nearly impossible. Of course there are a few exceptions where additional considerations may help to overturn those denials. The best course of action is to be proactive. Bring this person to the psychiatrist. Do locate an in network Intensive Outpatient Program and enroll. If it doesn’t work there is a proof, and very good reason for the residential treatment facility. Even so, do call your insurance and ask if there is an in network residential treatment facility. It is always a good idea to ask and look and check it out prior treatment. If there is none then ask for a prior approval to the facility of your choice. By this time there is a psychiatrist and treatment facility on the record, so it would be very hard to deny. The age group of 18-34 is misleading to start with; ACA allows the parents to purchase insurance for their kids up to age 26. Not to mention that some of the states had based the ACA cost on age groups. But let’s not get hung up on facts and say the age group is correct. Maybe we should look at US population data, based on this age group. The US Census Bureau last December released the 2012 population survey supplement. Based on this document, the population for the age group of 18-34 is 71.6 million; the age group percentage of the total population (308.9 million) is 23.3%. So, why the Times states “only 24 percent”, when statistically that is the correct percentage for this age group? Not to mention that, if one takes into account parents buying health insurance for their kids, the population of the age group of 25-34 is 41.1 million, or 13.4% of the population. The Patient Protection and Affordable Care Act, ACA or Obamacare for short, created healthcare exchanges, and its implementation had been left up to the states. While 36 states had elected to have the federal government run their exchanges, with more or less success, Connecticut and 23 other states developed and opened their own exchanges. In this blog, we are going to look at the Connecticut healthcare exchange premiums and the available plans for a couple in their mid-thirties, no kids, within Fairfield County. The target of this evaluation is the estimated yearly cost of these plans; however, we will not look at the actual coverage and provider networks. The cost tables will not take into account the copayments, or the separate prescription benefit’s deductible. Nor will it account for the preventive services that are covered 100% by the insurance companies. The size of the deductible substantially changed the actual cost of the plans, based on the yearly basis, when the couple in question requires medical care. The low cost plans with large deductible are quickly subset in favor of the high premium and lower deductible plans in the total yearly cost of the plans. Adding the maximum out of pocket cost to the yearly total just further underlines the advantage of the gold level plans. It also proves that the “pay me now, or pay me later” is true once again. Basically the bronze level premium plans end up costing much more than the gold level plans, when all costs are included in the evaluation. The plans available at the Connecticut exchange show similar cost trends for all age groups, with or without children. The difference is that the premiums increase substantially for couples with kids, older couples, and smokers. In the case of older couples for example, the premium rates presented here will double, or more, for a couple in their mid to late 50s in all metal levels. Shopping based on the policy premiums only does not take into account the provider network, deductible, and the out-of-pocket maximums. The deductible alone can more than double of the plan’s annual premium cost in case of bronze, and to a certain extent the silver rated plans as well. Therefore, it is strongly suggested that the estimated yearly cost is taken into account prior to selecting from the Connecticut exchange provided health insurance plans. Note: These are estimated premium rates, the actual premium rates may increase/decrease if and when the plan had been finalized and purchased from the insurance company in question. And again, do read the plan policy prior to signing on the dotted line. One of the major problem with the US healthcare is its cost. However, the PPACA did not actually address cost. In another word, there’s nothing in the PPACA that would prevent the cost of healthcare to continue spiraling out of control. The participating insurance company is required to offer, at the minimum, silver and gold coverage. In addition, there’s a catastrophic coverage that has no metal name or rating. One could call it “rusty”, since this plan really does not cover “standard” illnesses, only catastrophic/chronic illnesses, after the high deductible had been met. The estimated monthly premium rates vary between the younger and older couples, $570.04-938.76 and $1,119.91-1,844.32 respectively. Depending on the plan chosen, the deductible ranges between $2,000 to $12,600. As a general rule, the higher premium rates tend to have lower deductibles. The given plan’s deductible need to be met, prior to the insurance company paying for any medical bills. The sole exception is preventive care, that is covered in full for all these policies without consideration of deductibles. The total yearly cost is calculated as ((MP x 12)+AD). As such, the total cost amounts to for the younger couple 12-19%, and for the older couple 20-26% of their respective income. The cost of the various plans is based on $100,000/year total income for both couples. The question is: can they afford spending roughly 20% of their income for getting health insurance through the exchange? That depends whom you ask? Based on the current median income level in Connecticut, about $70,000/year, the chances are that people at this income or lower levels cannot afford purchasing these plans. Certainly, there are people who can and they will purchase health insurance at the CT exchange. There are people who makes less than the median income level, who cannot afford these premium rates. The Affordable Care Act specified provisions for providing federal assistance for people, whose yearly income is at or below 400% of the federal poverty level. Section 673(2) of the Omnibus Budget Reconciliation Act (OBRA) of 1981 (42 U.S.C. 9902(2)) requires the Secretary of the Department of Health and Human Services to update the poverty guidelines at least annually, adjusting them on the basis of the Consumer Price Index for All Urban Consumers (CPI-U). Interestingly, the yearly cost of the exchange’s silver plans, (plan premium x 12) + deductible), also about 20% of the yearly income at $32,000 and above. The chances are that people in this yearly income range also not going to be able to afford paying for these premium rates. While total cost is indicative of the upfront cost of having health insurance, this calculation does not include other payments required after the deductible had been met. In the Is PPACA really affordable? Part 4… blog, we’ll look at what the plan plays, after the deductible had been met.. Yes, you can have health insurance, if your company does not provide you with one, and you can afford it. The premium rates and deductible has been stated in “Part 2 and 3…”, let’s look at how provider bills get paid under the PPACA after the yearly deductible has been met. Please keep in mind that the payment processing is not subsidized and as such, provider’s bills for the people above or under the federal poverty level will be processed the same way. Depending on the provider charges and the plan allowed amount, the member payment could be much more; for example in the case that the provider is a hospital and their bill is, say $100,000. In this case, member payment would be $10,000-20,000 in-network and $55,000-70,000 out of network. The Affordable Care Act has a provision for limiting “out of pocket” expenses after the deductible had been met. Generally speaking, the out of pocket expense in most Exchange plans is equal to the deductible amount, after that time, the plan covers 100% of the cost. In another word, once you pass your deductible, you could expect to spend another “deductible”, prior to the insurance company covering 100% of the provider’s bills. Please keep in mind that the out of pocket expense for in and out of network may not be the same and dependent on the insurance company’s policy for the plan in question. If the payment processing after the deductible has been met reminds you of the indemnity plans of the eighties, you’re not alone. The health insurance companies, in cooperation with the congress, figured out how to merge the HMO and indemnity type of plans into the exchanges provided plans. The problem with this merge is that it pretty much dropped both type of plans’ benefits for the member. As a reminder, the indemnity plans of the past generally had a 80/20% split of the cost of care and there had been no provider network. Basically the member could get his/her care anywhere, the insurance companies didn’t care; the member pays 20% of the cost and that was the end of it. The HMO based plan introduced a provider network that required a copayment, but in exchange, no additional payment required for the member. If the member required out of provider network services, the provider’s bill had been processed pretty much the same way as described above. The premium for this type plan was also higher, than the cost of indemnity type plans. From the perspective of the health insurance companies participating in the healthcare exchanges, this is a great regulation. They can charge the premium rate of the HMO and split the cost with the member, if end when the deductible has been met, and the member still needs the care. The Patient Protection and Affordable Care Act can be viewed as it did not address the affordability for those, whom are forced by law to shop on the healthcare exchanges. The yearly cost of just having insurance is too high for both income ranges, the coverage is limited in most cases, and the member payments could amount to another 5-10% of his or her income, depending on the medical status, if and when the health insurance is utilized. Congress missed addressing the healthcare cost spiraling out of control. 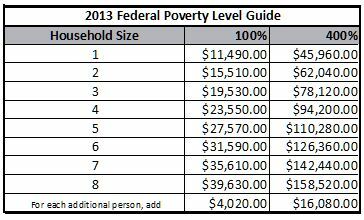 The $95.00/month ($1,140/year) penalty for not having insurance is certainly a lot less, than any of the plans, including the catastrophic plans, for people whose income above the federal poverty level. The catastrophic coverage is only an option for people under the age of 30; however, the lowest costing such plan has a monthly premium of $390.44 ($4,685.28/year) with $12,700 yearly deductible for a couple. That adds up to $17,385.28, prior to the insurance companies covering any of the member’s expenses. It is basically a question of affordability, $17,385.28 vs. $1,140 per year. Copyright © 2009 MedBillsAssist Blogs. Powered by WordPress and designed byHypnosis MP3s.